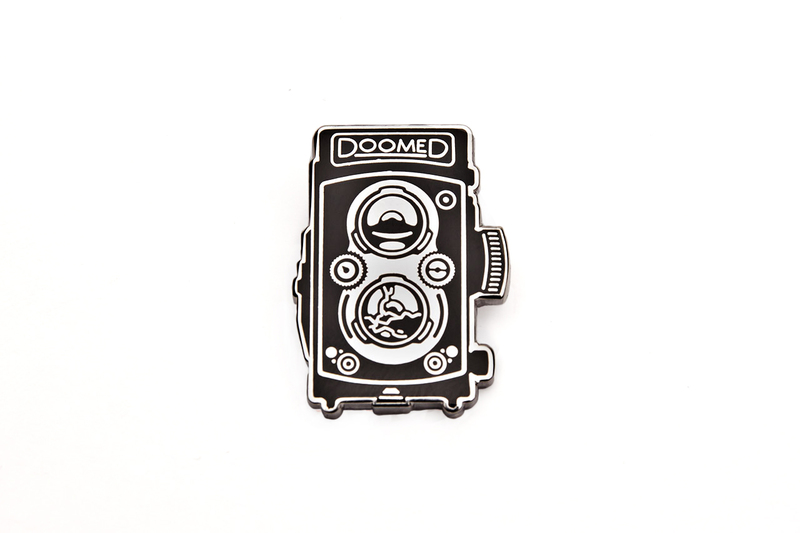 DOOMEDnyc DOOMEDmoto lapel pin DOOMEDmoto silver plated enamel lapel pin, 1" wide, double post w/ silver locking clutch. This BSA chopper was the first bike we created a custom product for when we launched DOOMEDnyc. 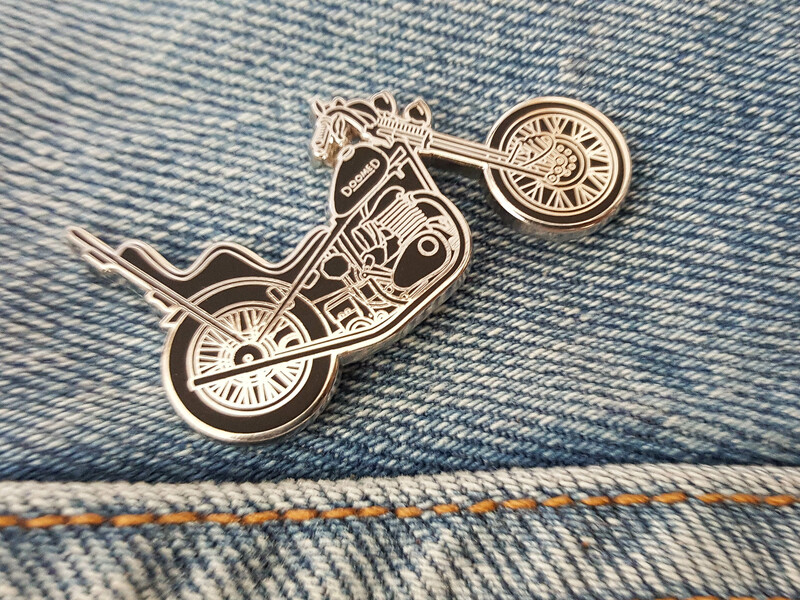 DOOMEDmoto silver plated enamel lapel pin, 1" wide, double post w/ silver locking clutch. 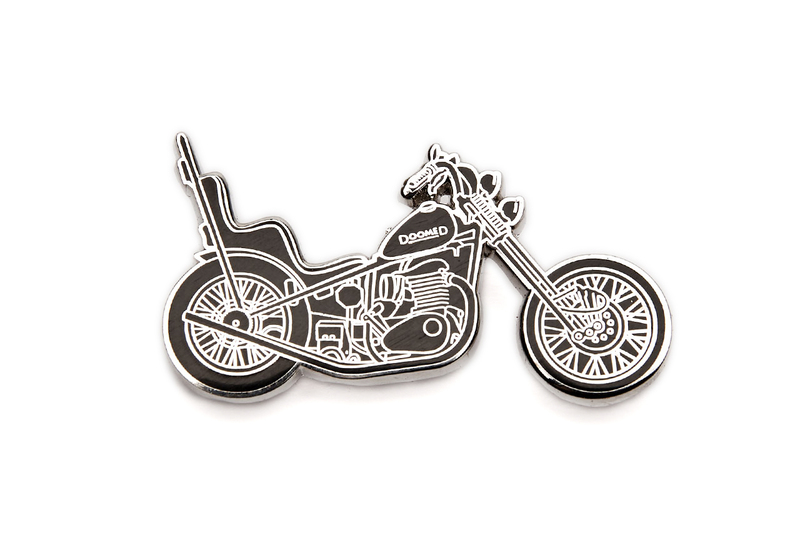 This BSA chopper was the first bike we created a custom product for when we launched DOOMEDnyc.